At the season's peak, over 7.8 MILLION acres were burning in the US simultaneously. During a summer characterized by extreme wet weather, it might have been easy to miss the cloud of smoke over western North America. But residents of the western US and British Columbia haven’t been able to ignore what’s literally hanging over them: this summer was one of the worst wildfire seasons on record, and these blazes only seem to be growing worse. 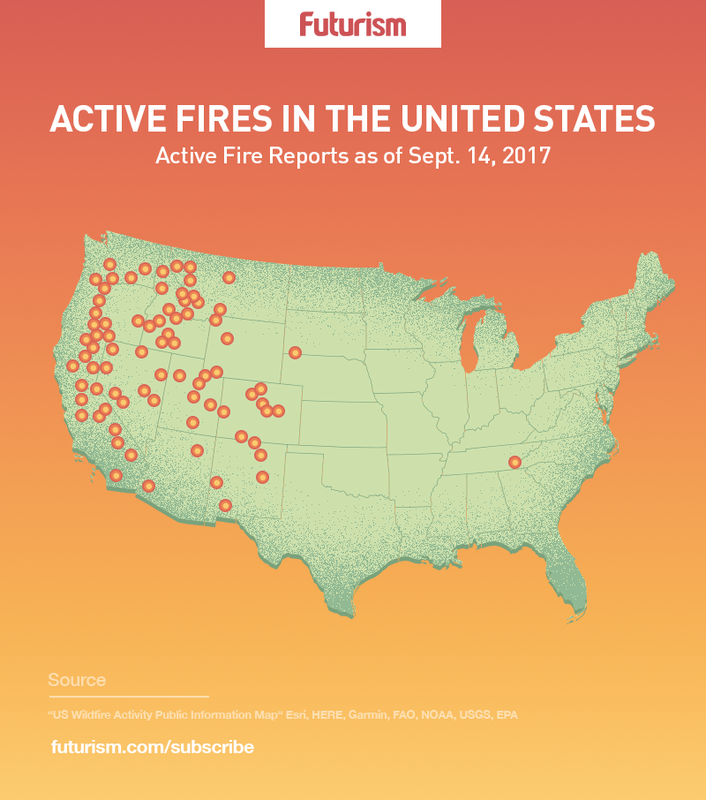 At the season’s peak in early September, over 137 large wildfires were burning simultaneously in the American West, covering an area of around 7.8 million acres. Thirty-eight large fires continue to smolder on, according to the National Interagency Fire Center, burning over 1.5 million acres. Across the border, British Columbia still has over 100 wildfires burning at the tail end of the worst fire season ever seen in the province. Thousands of people have been evacuated and hundreds of homes have been destroyed, and both Yosemite and Glacier National Parks were threatened by the flames throughout this season. 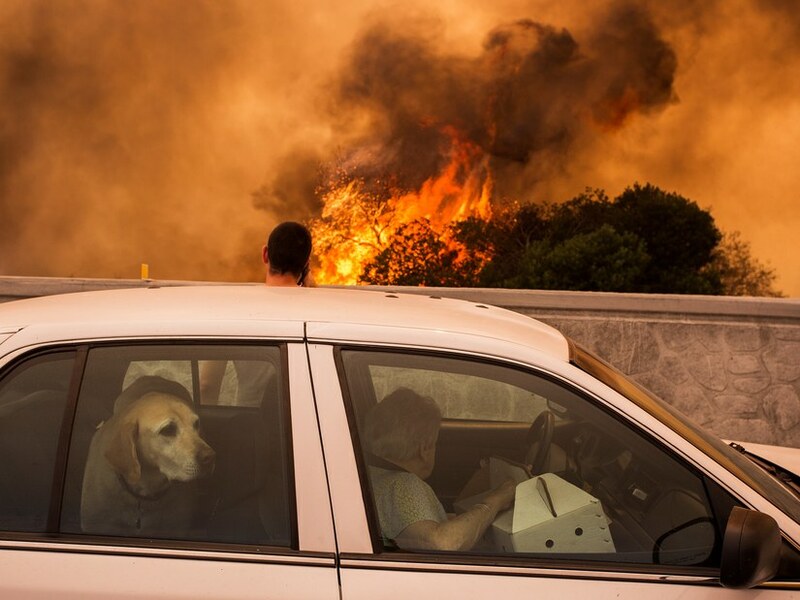 The dramatic conflagrations were caused by record heat and drought in western North America. On September 1, San Francisco reached 106 degrees, the hottest temperature ever recorded in the city. Vancouver, Seattle, and Montana all saw their hottest, driest summers ever. These extraordinarily high temperatures completely negated any possible relief provided by a snowy winter in the northwest; high grasses that grew lush in the wet months dried out during summer’s rapid onset, joining the 66 million trees already dead from the west’s 6-year drought. The result was a landscape full of wildfire fuel. Warmer temperatures and earlier snowmelt, seen all over the world, are driving this trend—and both have been linked to human-induced climate change. Though the number of wildfires each year has remained about the same, their size and duration have ballooned with warming temperatures. Fire season is now about 78 days longer than it was in 1970, according to the US Forest Service, and one study found that the areas burned by such fires has doubled since 1984. That study also found that humans may have contributed to the growing size of wildfires in another way: by putting them out. Fires are a natural part of the cycle of life and death within a forest, serving to eliminate dead and dry plants and recycle nutrients into the soil. Higuera also noted that while it’s difficult to say that an individual fire was exactly caused by climate change, the connection is there; he says it can be understood by an analogy to a baseball player using steroids.